Oak Ridges and the Lake Wilcox community, along with Gormley are located in the north end of Richmond Hill, east of King City, immediately south of Aurora, and west of Whitchurch-Stouffville. Oak Ridges was established along Yonge Street in 1799 by Joseph Genevieve and a group of French Royalists, who were granted land to settle by the British government. They were also provided with rations and agricultural implements. It was originally named Windham in honour of Genevieve's friend William Windham, Secretary at war for Britain at the time. Genevieve soon departed to search for another site to settle and by 1840 the settlement and the area from the King-Vaughan town line to the 15th sideroad became known as Oak Ridges. This included lots 61 to 70, the western half of which were in King and the eastern half of the township of Whitchurch. In 1834, well known in its time the "Bond Lake Hotel" was built. The hotel boasted twenty overnight rooms plus a grand ballroom and provided the setting for local dances and sleigh ride parties. Nearby was the fifty five acre spring-fed "Bond Lake" itself. In Oak Ridges during the mid 19th century, travellers would encounter a community nucleus that had a hotel, post office, and blacksmith shop. Lake Wilcox is both a kettle lake and a community within Oak Ridges. The lake measures 1.5 km across, is 17.4 meters deep and covers 55.6 hectares (137.4 Acres), making it the largest kettle lake on the Oak Ridges Moraine. Lake Wilcox, Lake St. George and their associated wetlands form a "provincially significant wetland" . The lake is named after W. Wilcox Baldwin, a settler of the area who owned an estate situated on Yonge Street. A community of the same name is established around the lake. Housing developments began to boom around Lake Wilcox in the 1950s. Lake Wilcox, as a part of the annexation of Oak Ridges, became a part of Richmond Hill in 1971. The Suburban housing developments did not continue until the mid to late 1980's. With all major arteries and public transit close at hand (YRT & VIVA), Oak Ridges is an extremely accessible neighbourhood for the downtown commuter. Surround yourself with nature at the beautiful and peaceful setting of "Lake Wilcox"/Sunset Beach or enjoy a day of shopping at the local markets and shopping centres. Oak Ridges also has great schools (elementary, secondary and private). Fitness facilities, a brand new state of the art community centre and medical building to name a few are all close at hand. Oak Ridges has a variety of housing types available. 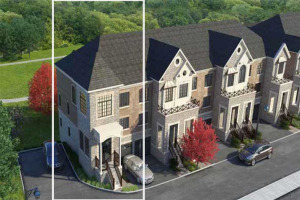 You can find Detached homes, Semi-detached homes, condominium townhomes and freehold townhomes. There are several older homes and neighbourhoods as well as extensive new developments in the area. The average resale price of homes in the area is approximately $600,000. Oak Ridges is a perfect up-and-coming community that is perfect for young growing family. **Note** Lake Wilcox Park is currently being redeveloped to include new features such as a Waterfront promenade and boardwalk. As such, Lake Wilcox Park (formerly Sunset Beach Park) will be closed for work beginning in May 2013. Picnic shelters within the park will also be closed and may not be booked for private functions until further notice from the Town of Richmond Hill. Showing 136 properties out of 153 currently available on the market.